HACKETTSTOWN, N.J., April 16, 2019 /PRNewswire/ -- The world of coffee has seen its fair share of interesting innovations and pairings over the years, from nitro brews to signature spices. But, coffee-drinkers aspire for their coffee to be a delicious experience in addition to just a java jolt. So TWIX® is giving it to them, with a game-changing new device. To celebrate this tasty union of enjoying a TWIX® and coffee together, the brand is unveiling the extremely limited-edition TWIX® Meltdown via the TWIX® Instagram handle - a first-of-its-kind product that allows fans to place a Left TWIX® or Right TWIX® into any cup of hot coffee and pull out just the cookie, leaving them with a chocolatey, caramely TWIX® coffee. 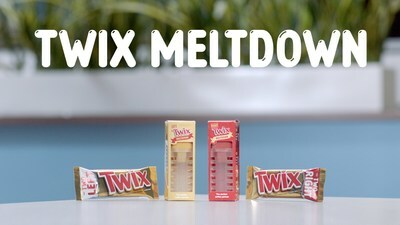 The brand expects the TWIX® Meltdown to be the greatest thing to happen to coffee since the coffee bean.